Precision machined steel collar can be positioned on distributor housing to adjust installed height for dead center gear alignment. Also aligns the distributor's lubrication grooves with oil passages in the block. Specifically designed for Moroso's DuraBillet and Drag Race distributors, also fits MSD distributors. 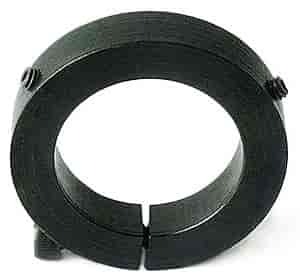 Distributors with fixed collars can be machined smooth to accept this Adjustable Collar.